Finkelstein, Maxwell W.. "Forillon National Park". The Canadian Encyclopedia, 13 August 2018, Historica Canada. 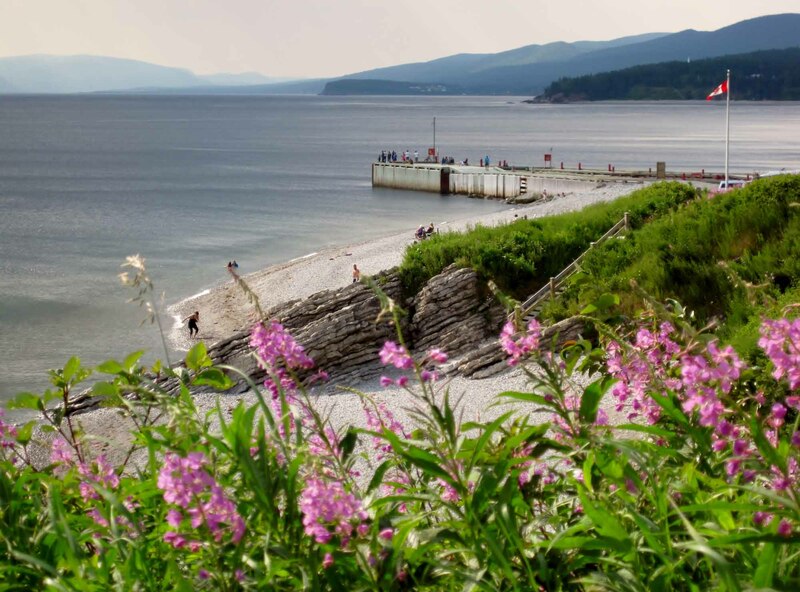 https://www.thecanadianencyclopedia.ca/en/article/forillon-national-park. Accessed 25 April 2019. Fishing dock in Forillon National Park on Gulf of St Lawrence, Quebec. 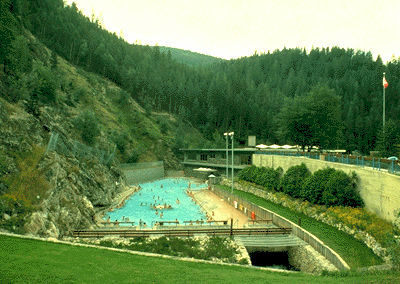 The park includes a 160 metre-wide marine component extending along the coast. Wild and beautiful, the park is a dramatic product of erosion. Its coastline is framed by soaring limestone cliffs, pebble beaches and rocks sculptured by the pounding sea. Rugged hills and gorges laced with tumbling streams lie inland. 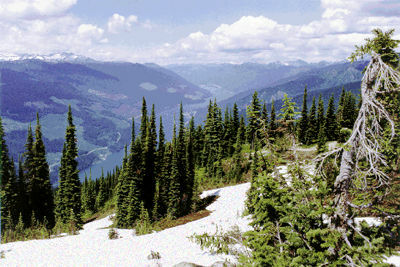 The park is covered mainly by boreal forest, but the limestone cliffs are characterized by tundra species. Wildlife includes deer, moose, lynx, black bear and red fox. An estimated 245 bird species have been sighted so far in the park. Some, such as the black guillemot, razorbill, double-crested cormorant and black-legged kittiwake, nest on the coastal cliffs. Atlantic puffins, gannets, Leach's petrels and common murres feed in the fertile waters offshore. Harbour and grey seals regularly haul out on shoals and rocky points, while many species of whale (pilot, minke, blue, fin and humpback) and harbour porpoises are often seen from shore. The area was a traditional summer hunting and fishing ground for the Micmac and Iroquois. 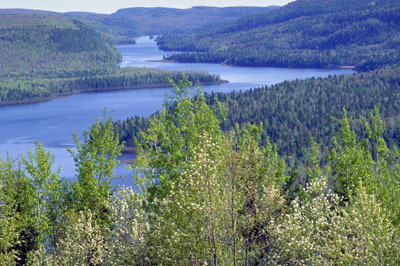 Jacques Cartier explored the region in 1534. French and English settlers arrived 200 years later and harvested cod, herring, mackerel and salmon. In the 18th century, fishing villages based on the export of dried cod to Europe and the Caribbean were established along the coast. The traditional lifestyle of the cod fisherman of this region is one of the many themes of the park's interpretation program. The park offers ample opportunities for outdoor recreation, including hiking, cycling and horseback riding. Forillon National Park of CanadaThis illustrated Parks Canada website describes the ecology, geography, and history of Forillon National Park of Canada.